The buzz was restrained, but you could sense the anticipation, and the pulse rates rising every passing moment. As honchos of several leading small and medium enterprises (SMEs) sipped their cocktails and nibbled nervously at the snack items on offer, each one hoped the night would be his to remember. 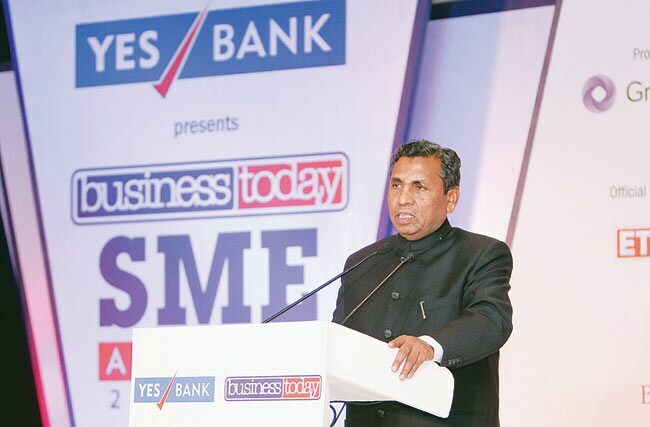 The occasion: one of Business Today's and, indeed, the industry's, signature events - the Business Today Best SME Awards 2012 , presented by YES Bank. 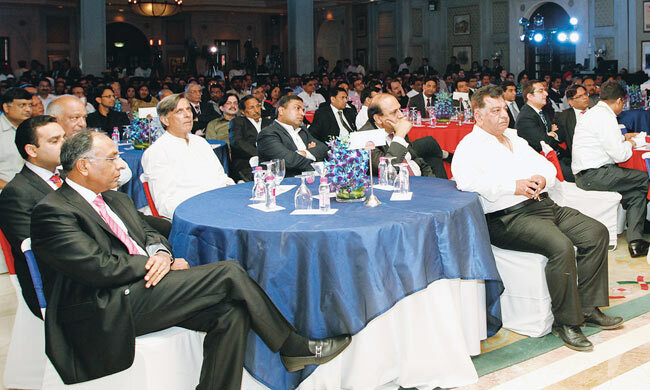 Leaders of the country's SME community converged in large numbers at the ITC Maurya hotel on the evening of April 10, The nominees across the 15 award categories, in particular, had every reason to feel edgy. This year's survey had seen a record number of entries. As Chaitanya Kalbag, Editor, Business Today, noted in his welcome address: "Not every nominee present here will win, but the fact that you have overcome the stiff challenge of more than four lakh competitors is itself commendable. I congratulate each one of you for this outstanding achievement." Apart from the nominees, the event was attended by several entrepreneurs and dignitaries. Union Minister of Coal Sriprakash Jaiswal was the chief guest and K.H. Muniyappa, Minister of State (Independent Charge) of the Ministry of Micro, Small and Medium Enterprises, the guest of honour. Also present were jury members Abhay Pandey, Managing Director, Sequoia Capital and Anil Bhardwaj, Secretary-General, Federation of Indian Micro and Small and Medium Enterprises and top management executives of the India Today Group and YES Bank. Ashish Bagga, Group CEO of the India Today Group, put things in perspective. "This is a proud moment for us," he said. 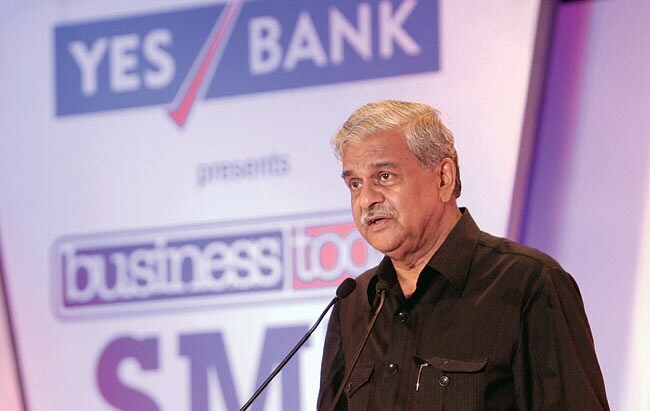 "Getting more than four lakh applications has helped us make this year's Business Today-YES Bank Best SME Survey much more inclusive, and we justifiably hope to improve on this score in the years ahead." Added YES Bank's Senior Group President for Retail and Business Banking, Pralay Mondal: "Through these awards our endeavour is to help the MSME sector by recognising and encouraging the best performing SMEs with successful and replicable business models, thereby creating an aspirational platform and celebrating the real engines of growth in India." Addressing the gathering, Jaiswal said: "Unemployment can only be reduced with the help of small and medium entrepreneurs." He added that even as the global economy is going through tough times, India has sustained decent levels of growth thanks to the MSME sector. MSME minister Muniyappa underlined his commitment to the sector by making it to the event despite being engaged in election preparations in his home state, Karnataka. "The MSME sector contributes nine per cent of GDP, 45 per cent of manufacturing output, and about 36 per cent of total exports through its more than 3.6 crore thriving enterprises, employing more than eight crore persons," he said. "The sector is the most crucial link between India's economic growth and socioeconomic progress." He also recalled announcements in the last Union Budget that were beneficial to the SME sector. These included increasing the re-financing capability of the Small Industries Devel-opment Bank of India (SIDBI) from Rs 5,000 crore to Rs 10,000 crore and extending the non-tax benefit to SMEs for three more years after they had grown to the next level. "My ministry is also aiding infrastructural development and soft and hard interventions in industrial clusters in the country under the Cluster Development Programme," he said. Finally, as the awards rolled out, the winners proudly accepted their trophies from the two ministers. The stars of the night were Ankur Scientific Energy Technologies, based in Gujarat, which won 'Best SME' in the small enterprises (revenues up to Rs 50 crore) category, and DFM Foods, makers of Crax snacks, which walked away with the Best SME award in the medium enterprises (Rs 50-200 crore) category. The other winners were Chem Process Systems, Aastha Minmet India, Mynd Solutions, StarAgri Warehousing & Collateral Management, Shalby Hospitals, SL Packaging, Molecular Connections, Omega Elevators, Yennai Hydrocarbon Services, North Eastern Medical Research Institute, and Emmbi Polyarns. The awards are based on a survey conducted by BT's knowledge partner YES Bank, which is also the presenting sponsor of the awards. Accountancy and advisory firm Grant Thornton was the process validator. ET Now was the television partner and Black Dog, partner.